FILE PHOTO: A lottery representative hands out free Powerball tickets at Russ's Market in Lincoln, Nebraska, as part of a promotion, Wednesday, Feb. 11, 2015. While most hopeful lottery players understandably fixate on those big dollar signs, hundreds of thousands of people win smaller prizes in each drawing -- and some of those amounts are nothing to sneeze at. In fact, more than 320,000 people in D.C., Maryland and Virginia won something in Wednesday night's Powerball drawing, with tickets worth everything from just $4 to a cool $1 million. The three grand-prize winners didn't buy their tickets locally -- but almost 150,000 people in Maryland and nearly 160,000 in Virginia won smaller prizes, as did 15,000 people in D.C.
Two 1 million tickets were sold in Maryland: one in Prince George's County and one in Garrett County. Two more people purchased tickets in Maryland worth $10,000, by matching four winning numbers plus the Powerball number. Virginia has 11 more $10,000 winners from Wednesday night's drawing, and D.C. has one. And who would frown at winning even a hundred bucks? More than 600 players each in Maryland and Virginia have tickets worth $100, as do 54 people who bought their tickets in D.C.
Tens of thousands of people have won much smaller amounts, from $4 to $7. 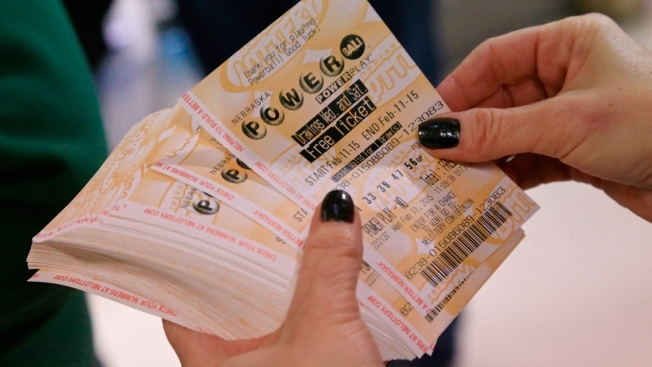 A Powerball ticket costs $2. Three people will share the jackpot's grand prize, worth a whopping $564 million before taxes, the fifth largest prize in U.S. history, and the third-largest Powerball. The grand prize tickets were purchased in Texas, North Carolina and Puerto Rico. Of course, the odds of winning go up depending on the amount of the prize. Players can win that $4 amount in one of two ways: by matching just the Powerball number, or by getting one winning number and the Poweball number. Players have about a 1-in-55 chance of doing the former, and about a 1-in-110 chance of the latter. But that big jackpot? There's just a 1-in-175,223,510 chance.